Discussion in 'Earl's Mill' started by M Kerkvliet, Jul 23, 2007. In a recent wind storm, the canopy blew off the WMSTR 120 Rumely. The wood was in poor shape, and just could not hold on anymore. Merlyn and Roger Meyer, and Dave Schreiner to the rescue! 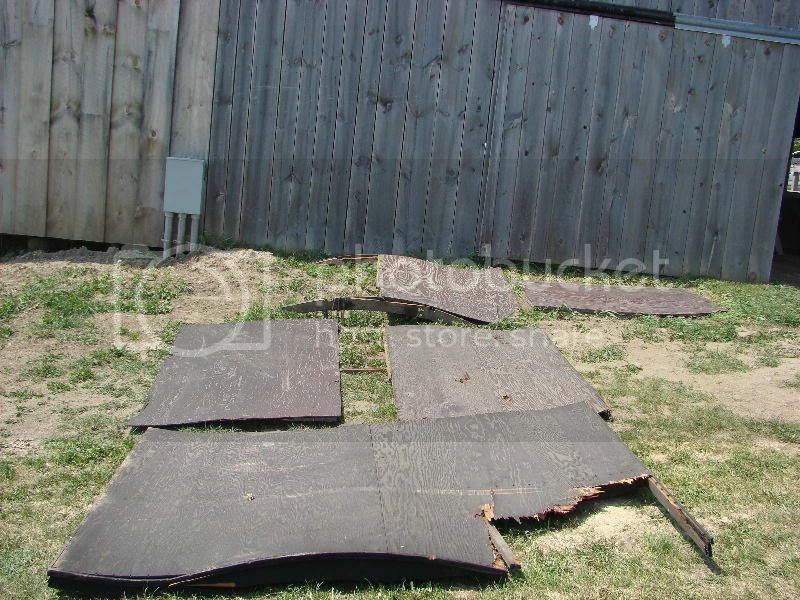 Here is the old canopy laying in pieces. They used this for a pattern to get measurements for the new one. 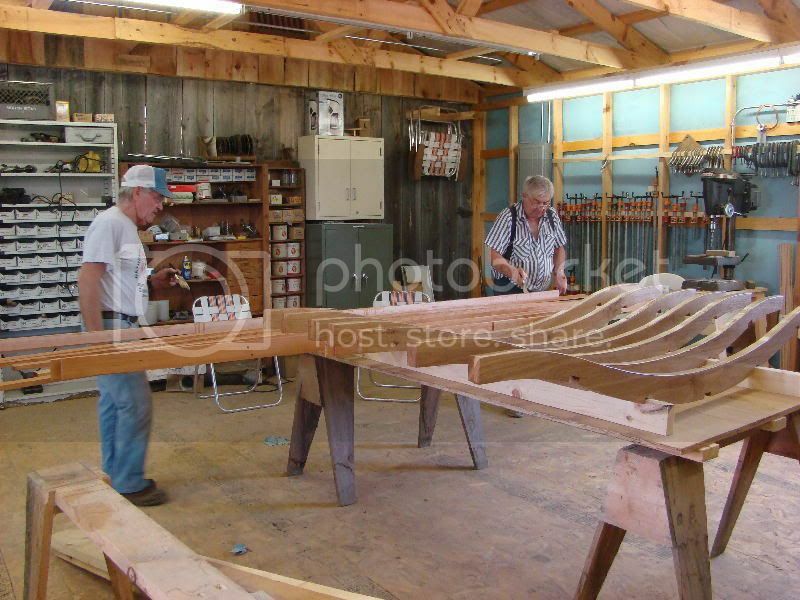 Here Merlyn (left) and Dave are varnishing the new canopy framework in Pinky's wood shop addition. As soon as it is together, and new tin roof will be made to order! What a great resource, and talent to have as part of our show. A real working exhibit! Look for more pictures here, and of the Briden-Roen sawmill as they become available. There should be a ton of them after the show!